This is the first book of The Witchhunter series. The official page at witchhunter.me is this. The series is a contemporary/urban fantasy, about a witch hunter. Actually ‘The Witchhunter’. The reason is that while there were witch hunts centuries ago, those seldom caught real witches. Today it’s just a myth. There is a single person who really hunts them and as such, among a long list of other names, he got the singular name among witches. What can you expect if you start to read the first book? At first, descriptive and practical descriptions of his hunts. Because he is technical, driven by a single goal. Yes, there is blood in it. It’s part of killing a witch. He is ruthless, but not unnecessarily brutal. Even serial killing may have its ethics. Hard to soothe without a break that never mends. 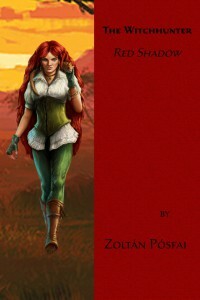 In this book you will find fights, magic, witches, fantastic creature and worlds and even a hint of romance. But this is not a light fantasy. It’s about characters, ethics, history, personal hardships. It will also change your view of history, myths and religions. The world is complex and you can never turn back the wheel of time.